"If Atheism cannot provide reason not to believe based on empirical evidence, then we must dismiss this ideology as merely fallacious rhetoric created to appease those who have anger towards God and/or organized religion." I have just finished attempting to instill scientific reason to some atheists in regards to God. As always, they adamantly deny anything, even science itself. This is when they lose credibility. One in particular accuses me of arguing from ignorance. Another sends me a link "debunking the Laws of Information." Now this is funny because I merely stated the laws of information which are used in physics and thermodynamics. These laws basically state that matter cannot produce information. That is to say that no matter in this universe can develop data or code on its own. It needs a sender or mover. For example, you buy a DVD and it is blank. You leave it in a room that is locked for 10 or more years. After that time period you return and take the DVD and put it in a computer. Will that DVD have data on it? The answer is no. The DVD needs an intelligent sentient sender to "burn" the data on it. The same with matter in this universe. Matter did not develop or "burn" the data within itself. It had an external sender that instilled it within. That sender of course has to be sentient and intelligent rationally speaking. How else can it be aware of the matter and know how to put information into it and what information to put? I pointed this out to this gentleman, and he denied it. I even gave citations to texts that he can go purchase or rent, and he still rejects it. What now? Well the logical conclusion is that this individual is in denial. Citing laws of Physics or any discipline is not arguing from ignorance. Arguing from ignorance is when one claims that something is true because it has not been disproved. All I merely stated was that matter cannot produce information without a sender. This is a law. Now, this law is often used to prove the existence of a Logos. The point I was trying to make was that since matter cannot produce information without a sender and a sender has to be sentient and intelligent, then there is evidence for a Logos. Logic is often thrown around by atheists erroneously. This individual obviously does not have a full grasp of fallacies. We cannot throw charges of fallacies around at everything said. If we do, then basic facts such as the 4 seasons are "arguments of ignorance." Science says we have 4 seasons and this is true because it cannot be disproved, so is this an argument of ignorance? No way. This is an observable fact that cannot be disproved unless the Earth changes and some how ends up with 2 or even 10 seasons which is highly unlikely. Atheism needs to learn what logic is before they attempt to discredit any theistic arguments. If not, then what is next? Will a citation in a thesis be called "appeal to authority?" It is silly. If using the Laws of Information as evidence of a Logos is Arguing from Ignorance than so is stating Evolution or Abiogenesis is the cause of life on earth and not God. Atheism cannot have its cake and eat it too. It must be fair, rational and realistic. It must not request proof of God and then deny everything presented by misapplying fallacies to them. It must not request proof of God in the sense of summoning some sort of genie to appear before them. Atheism must realize that the evidence of God is there and it must build on that evidence; they must go on to the next step. If God is a personal being, one cannot test a person in a lab per se. One must interact with that person. Now here lies the problem. Atheists will not interact with this person called God. As an atheist I took that step. I actually prayed and asked God to show proof. A movie comes to mind when thinking of this. That movie is the "Matrix." 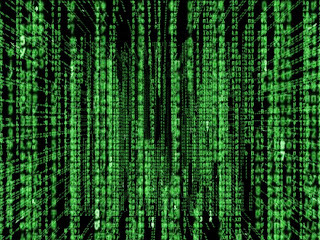 Neo played by Keanu Reeves is a computer hacker who is aware of the "Matrix code." He wants to know of it and instead finds a group of people dressed in black claiming to know about this "Matrix." The leader, "Morpheus" tries to explain that the world Neo was living in was a simulation in a computer system. Neo of course denies it because his senses tell him otherwise. Now it isn't until Neo sees the bending of the laws of Physics that he begins to see that maybe Morpheus is telling the truth. Morpheus then tells Neo "I'm trying to free your mind, Neo. But I can only show you the door. You're the one that has to walk through it." The scenario is similar of the one who is trying to show the atheist proof of God. At some point, the atheist has to 'free his mind' and 'walk through the door." This is what the scientific method is all about. We propose a hypothesis, research it, test it, analyze the results and then make a conclusion. Atheists get stuck at the hypothesis part. They just ask questions or take guesses based on assumptions that absence of evidence IS evidence of absence. They must move on from the hypothesis stage to the research step and then to the testing one. 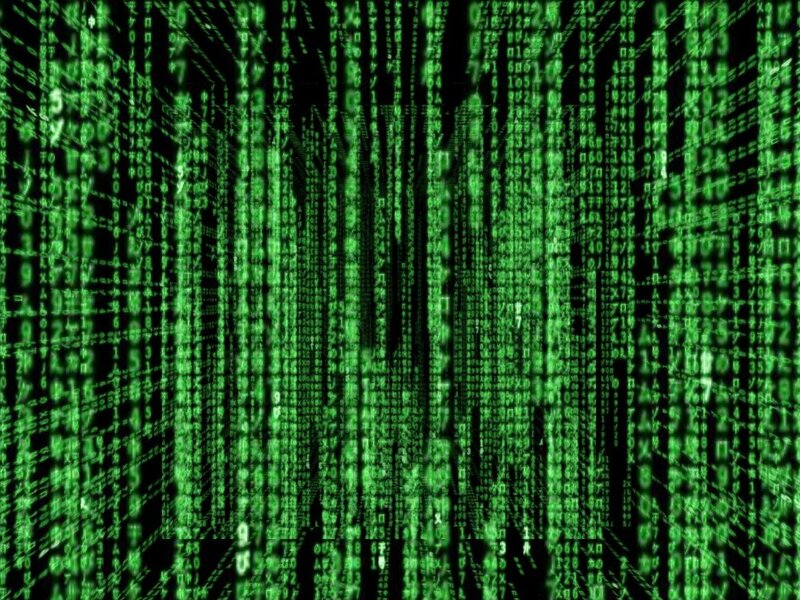 Just like Morpheus could not tangibly show Neo that the Matrix is a simulation unless Neo freed his mind and walked through the door, so too the atheist cannot process the evidence of God and God unless he/she frees his mind and takes the next steps. Then we do the research: Origin: "St. Nicholas, Bishop of Myra was caricatured into Santa Claus"
After that research we begin to test what we know so far. Santa Clause comes on Christmas Eve in a sleigh and down chimneys. One test we can do is on Christmas eve go outside and survey the skies for any sleighs. Another test is one inspired by my nephew which entails actually waiting at the fireplace for Santa Claus. Atheism does not do this with God. It is intellectually dishonest. Theists all over report miracles, many are documented by science as having no explanation and which defy all known laws of physics. Many have personal experiences. We cannot discount this. Even the Catholic Church uses science to verify supposed miracles before canonizing a Saint. The Church does not go by word of mouth. For centuries many have written about God showing evidence, but atheists ignore this or cowardly label them as "God of gaps." An atheist who truly wishes to seek truth regarding God must go to the next step and test these. "...we must dismiss Atheism as merely fallacious rhetoric created to appease those who have anger towards God and/or organized religion." The complete lack of evidence for gods is an empirical reason to think that they do not exist. Absence of evidence is a characteristic of absence after all. Well let me put it to you this way. I'm sure you've heard of Helen Keller. She is a well known figure in American history. Keller was blind, deaf and mute. We all rely heavily on our senses, in particular hearing and sight. Imagine living without them. Unless you are touched, you will not have any awareness that something or someone is near you. Keller experienced this. Now suppose you had this condition. You cannot see or hear and 10 people encircle you without touching you and at the same time they avoid making any vibrations that your sense of touch might pick up. Would you be aware of those 10 people? Would you have "empirical evidence" of their presence? The answer is no. You would be completely oblivious to their existence due to the absence of 2 of your most important senses. The problem is that you cannot sense them by normative means. Just because you lack this ability to sense them does not mean the 10 people are not there. I see. We should believe that absolutely anything could be there but just outside our natural sensory perceptions? That is much more sensible that accepting the things which we do have evidence for and waiting on evidence for everything else. I had a Hindu tell me yesterday that I should accept that I reincarnated because I cannot remember not having lived before. That uses the same logic as yours. You have no evidence you have not lived before and millions of people believe they have personal relationships with gods who say you did. Do you think you should start worshipping those gods too? There are things out there we cannot perceive. This is not news. Even the things we do sense are not always how we sense them. In reality, we never perceive things! Our brains sorts the information in the way it is set up to interpret it. Reincarnation is different. Logically speaking, it does not make sense to come back over and over into a different person if you have to "fix" the previous life, but can't remember it. Reincarnation never was logical to me. Yes energy is eternal and recycles itself; however, one would have to show that the soul is energy. Of course we test the existence of gods. For your one see Feuerbach and Strauss - The Life of Jesus and The Essence of Christianity for detailed explanation of how Christianity got invented just like Santa and of course, we have looked at evidence of so called miracles and asked God to show himself. I wonder how much of this you have done before denying all the gods and other mythical creatures you disbelieve in? Or do you admit to taking a contrarian position to leprechauns because you are angry with them? As an atheist, I scrutinized every religion known to man. This is why I am able to engage people of all faiths and no faith. Mythical creatures and leprechauns have their origin in folk tales, so they are not valid for belief. If you can find the origin of any story, then you know it is a myth.